Each stroke has a thought behind it. Each expression has a feeling behind it. And each scene has a whole story behind it. Following is a list of some of the most popular art works and the stories behind them, that make the paintings all the more special in the eyes of the viewers. 1. “Mona Lisa” was commissioned in order to celebrate the birth of a baby boy! Back story- Now while the mysterious smile of the gorgeous lady has always been enigmatic to the viewers, the story behind the painting makes it all the more special. The lady in the painting was a certain Lisa del Giocondo, who was a member of the Gherardini family of Florence and the wife of Francesco del Giocondo, a wealthy Florentine silk merchant. It is alleged that the family had commissioned that the painting be made to celebrate the birth of their second son, Andrea. Before settling on this fact, scientists had developed many speculations behind the subject of the painting. 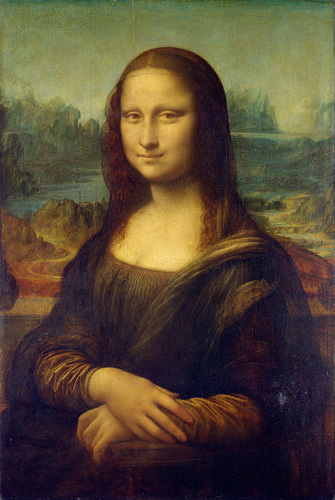 It is also suggested that more than one version of the painting were created, one of them being of Isleworth Mona Lisa. This particular version had stayed locked up in Swiss Bank vault for as many as 40 years and was unveiled to public recently on Sept 27, 2012! Interesting fact- Experts have suggested that by magnifying the eyes of “Mona Lisa” under microscope, tiny letters and numbers can be seen, somewhat resembling the real Da Vinci code! In the right eye, letters LV can be seen while in the other eye, many barely defined symbols can be seen. Back story- Another Da Vinci marvel, this one was created on the request of the Duke of Milan. It adorns the walls of the Convent of Santa Maria della Grazie, Milan. The thought behind this one is special because it depicts a famous scene from the life of Jesus. It shows his disciples dismayed, shocked and lost in thoughts, contemplating, after Jesus predicts that one of the present apostles is about to betray him. Interesting fact- It is a gigantic mural painting. At a whopping 180 x 360 inches, it is so huge that only a church roof could possible accommodate it! Interesting facts- a) While each of the three versions of “The Scream” (two painted versions and one pastel version) grace the walls of three renowned museums, the fourth pastel version was sold at Sotheby’s Impressionist and Modern Art auction on 2 May 2012 to a financier Leon Blac for a staggering $119,922,600, thus becoming one of the most expensive paintings in the history of art. b) Its immense popularity can be well judged by the fact that it has been a target of many high-profile thefts. The version in National Gallery was stolen in 1994 but recovered several months later. 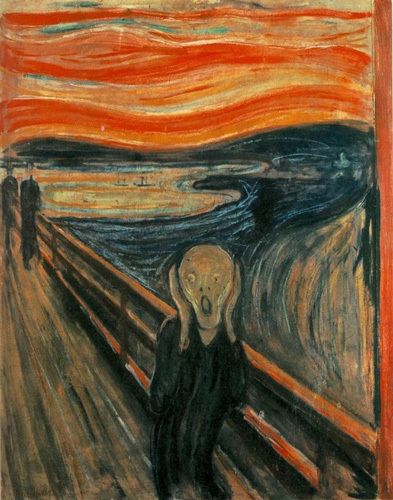 In 2004, the painted version of “The Scream” went missing along with another Munch painting Madonna, from the Munch Museum. Both were recovered after 2 years. 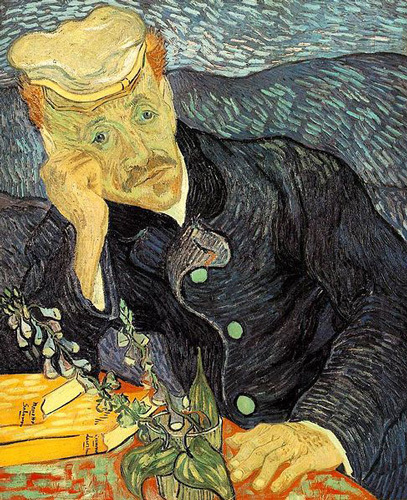 Back story- Vincent Van Gogh was a story in himself and his most popular of art works describe the agony, anxiety and frequent and severe bouts of mental sufferings that this young talent battled in his short life. The story behind “Portrait of Dr. Gachet” goes that, when Theo, Van Gogh’s brother, was searching for a comfortable home for his brother after his release from the asylum, he came to know of Gachet’s interests of working with artists. And so, he sent his brother over to Dr. Gachet’s. And consequently, his friendship with doctor grew deeper and he ended up creating the famous “Portrait of Dr. Gachet”. Interesting fact- There are two authenticated versions of “Portrait of Dr. Gachet”. They both show Gachet leaning on his right arm but, clearly differ in colouration and style. Back story- Pablo Diego José Francisco de Paula Juan Nepomuceno Maria de los Remedios Cipriano de la Santisima Trinidad Ruiz Picasso, A.K.A, Pablo Picasso is the master hand behind “Guernica”. 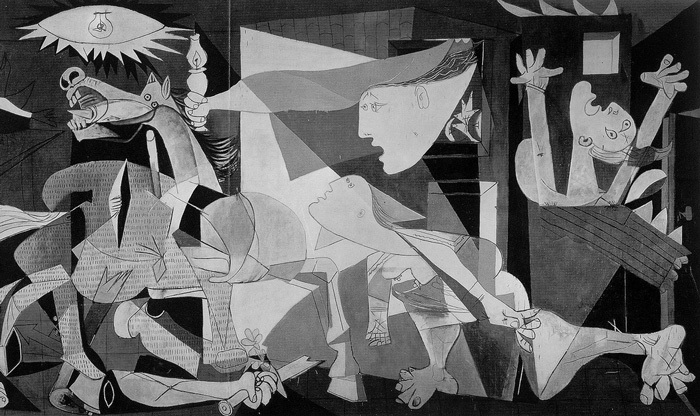 One of the greatest and most influential artists of the 20th century, Pablo Picasso created “Guernica” to reflect the aftermath that the Guernica city suffered following the attack of German and Italian war-planes on 26th April 1937. Today, “Guernica” is seen as a powerful symbol, warning humanity against the wide scale suffering and devastation that war brings about. Interesting fact- The painting was showcased around the world in a brief tour with the motive of bringing the worldwide attention towards the deadly Spanish Civil War. Back story- “The Starry Night” is famous as one of the finest works of Vincent Van Gogh and, as one of the most recognized monuments in the history of modern culture. The story that goes behind this marvel is grabbing too. The painting was created during the day time in his ground floor studio, allegedly from memory. However, this theory is debated a lot concerning the fact that the view he painted captures the outside view from the east facing window of his asylum room, just before sunrise. 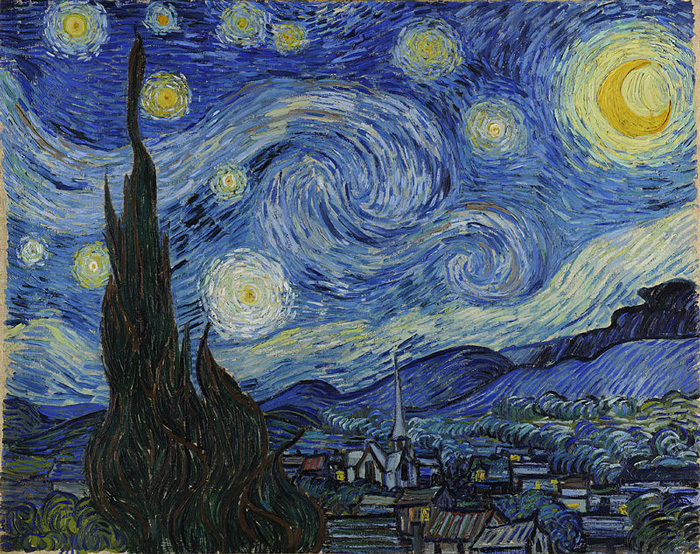 Van Gogh depicted the view in as many as 21 versions, one of which is “The Starry Night”. Interesting fact- Contrary to the immense popularity of “The Starry Night”, Vincent Van Gogh himself was not very much satisfied with his work. In one of his letters to Theo (his brother), he expressed that it was not one of the best art pieces made by him. Back story- Whistler’s Mother is one of the most notable pieces of art by the American born, British-based painter James Abbott McNeill Whistler. While there are many interesting stories revolving around how this particular painting was conceived, one of the most talked about ones is that the painting features Anna McNeill Whistler, James’s mother. It is believed that Anna Whistler posed in replacement of a model who did not show up. James had initially envisioned painting the model standing up, but since his mother found it uncomfortable to keep standing for a long period of time, he captured the essence by painting his mother relaxing in a sitting position. 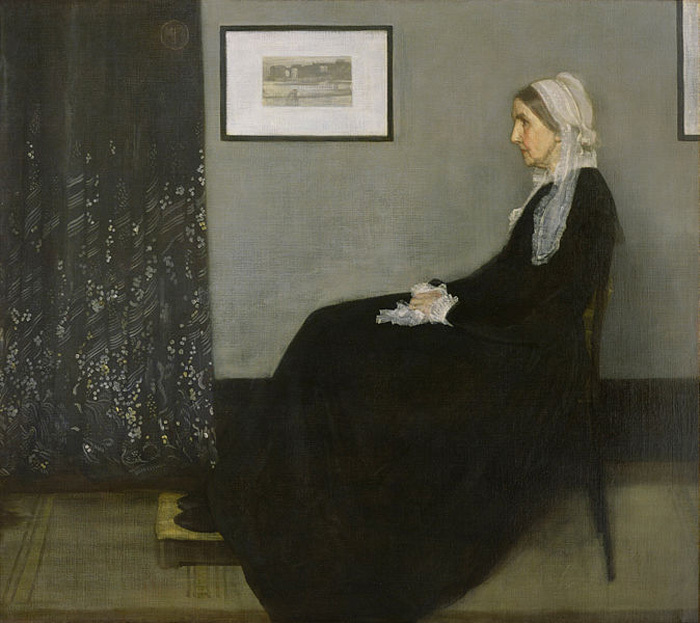 Interesting fact- “Whistler’s mother” is often described as an American Icon and a Victorian Mona Lisa. 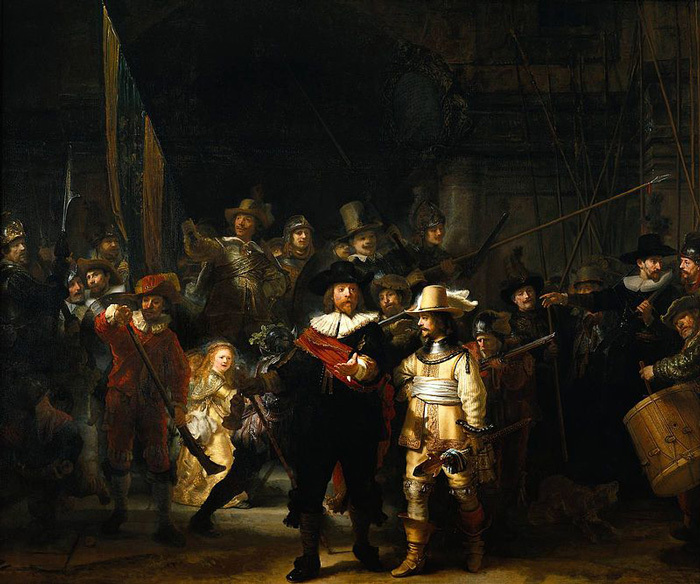 Back story- One of the many masterpieces of Rembrandt, “The Night Watch”, was commissioned by the Captain Banning Cocq and seventeen members of his Kloveniers (civic military guards). Rembrandt was paid 1,600 guilders for this painting, with each person paying 100 guilders, a great sum at that point of time. The painting shows a total of 34 characters marching out. A drummer was also added to the painting, for which Rembrandt took no charge. Interesting fact- On January 13, 1911, a man slashed the painting with a shoemaker’s knife. 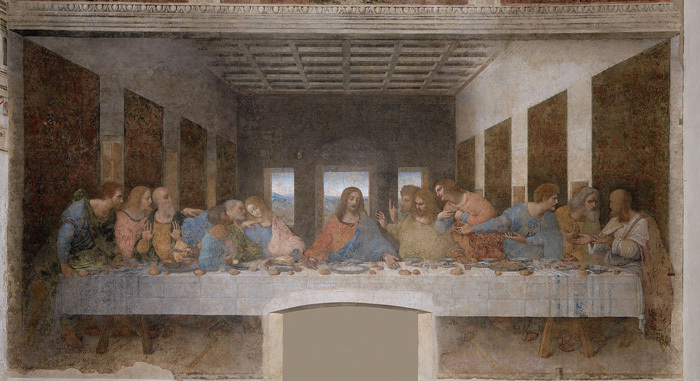 After several years again on September 14, 1975, an unemployed school teacher attacked the painting with a bread knife, resulting in several zig-zag slashes. While the damage was restored successfully after four years, scratches can still be seen up close. On April 6 1990, The Night Watch again became a target of vandalism when a man sprayed acid onto the canvas. The security people intervened and sprayed water on the canvas in a quick action. Since the acid had penetrated only till the varnish layer of the painting, it was restored soon enough. 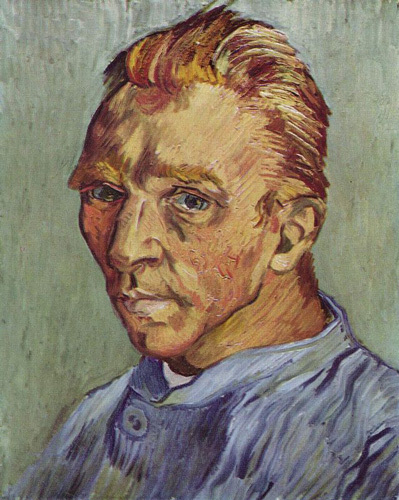 Back story- Van Gogh was prolific at making self-portraits. He is known to have painted himself over 43 times between the years 1886 and 1889. “Self Portrait Without Beard”, as the name suggests, is one of the most distinguishing ones of all because he does not sport a beard in this one. It is also highly cherished owing to the fact that it was Van Gogh’s last self-portrait, which he gave to his mother as a birthday gift. Interesting fact- At that time, it was the third most expensive paintings. As of today, it remains one of the most expensive paintings of all time, selling for a whopping $71.5 million in 1998 in New York. Back story- “The Goldfinch” is one of the many masterpieces created by Rembrandt’s student, Carel Fabritius. 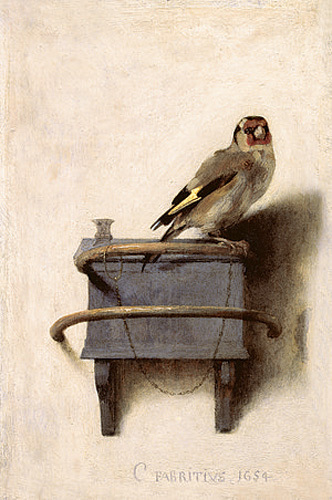 Fabritius painted “The Goldfinch” in a style different than that of Rembrandt’s. Fabritius died as a result of a gunpowder store explosion in Delft city. In the explosion, a quarter of the city, including his studio and many of his paintings were destroyed. Only a dozen of his paintings, including “The Goldfinch” have survived. Interesting Fact- “The Goldfinch” is one of the only three paintings he made in the year that he died, which was 1654. Don’t all of these paintings seem even more deep now?